As part of our continuing #DecriminalizeLGBT campaign, we’ve been highlighting organizations and individuals working to protect and defend the rights of LGBT people around the world. The efforts of activists and organizers are increasingly important, as governments have become increasingly hostile toward the LGBT community. The stories we’ve shared over the last few months provide key insight into this issue and help expand the narrative of the LGBT experience in regards to criminalization. They are diverse and complex but filled with determination and courage. Here are some of the stories we featured. The landmark case in Kenya has the potential to be a game changer. The National Gay and Lesbian Human Rights Commission (NGLHRC) of Kenya is working to repeal anti-LGBT laws there. The commission is challenging outdated penal codes that violate the Kenyan constitution and the basic human rights of LGBT people. The ruling is expected in April, and NGLHRC and the community must prepare for the ruling because no matter which way it goes it will have a profound impact on LGBT people in Kenya and across Africa. You can support NGLHRC’s fight by clicking here. 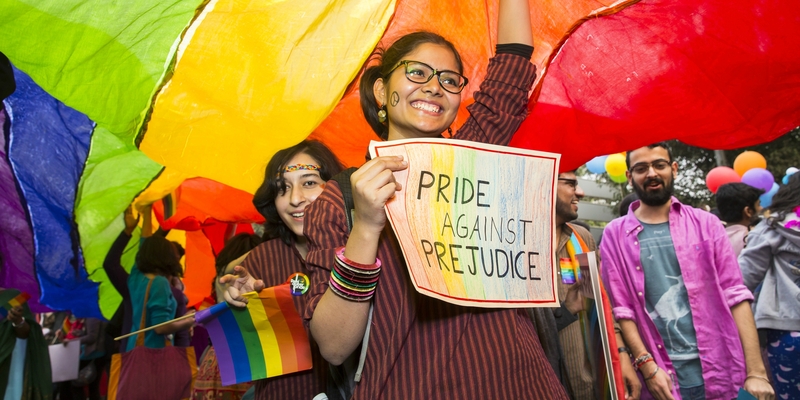 OutRight Action International has been at the forefront of advancing and defending LGBT rights around the world. We were fortunate to speak with Jessica Stern, the Executive Director of this leading human rights organization, to learn more about the organization’s incredible efforts to improve the lives of LGBT people across the globe. The Middle East has been a particularly challenging region, with recent crackdowns in Egypt and Iran. In Lebanon, however, there have been modest gains due largely to the hard work of LGBT activists like Georges Azzi. Azzi is the Executive Director of the Arab Foundation for Freedoms (AFE). He told us about the challenges they encounter, building coalitions and prioritizing decriminalization. Says Azzi, “It is important to remember that LGBT rights are not a luxury. People should never say, ‘This isn’t a priority right now.’ Listen to and share our stories. Support us when we ask for support and speak out about decriminalization. Raise awareness whenever you have the opportunity.” Read the full interview here. Murat Renay — founder of Turkey’s biggest gay culture magazine, GZone, and an author and activist — created a great piece about the experience of being LGBT in Turkey. The government there has become more and more conservative, yet activists persist in their resistance and find hope in their struggles, as shared by Renay. The issues of criminalization and social justice must be prioritized. We intend to maintain momentum around the issue of criminalization through content and social media engagement, in preparation for the International Lesbian, Gay, Bisexual, Trans & Intersex Association’s (ILGA) release of the State Sponsored Homophobia Report in May. This worldwide survey of sexual orientation laws will be released to coincide with International Day Against Homophobia, Transphobia, & Biphobia (IDAHOT) on May 17th. The theme for IDAHOT is “Alliances for Solidarity,” and if we all work together we can change the state of homophobia.